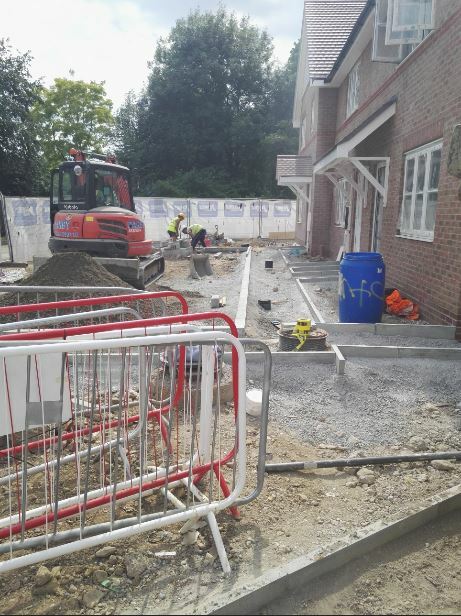 This project on Appledown Grange Road, was the construction of forty four new properties, with 3 and 4 bedrooms. 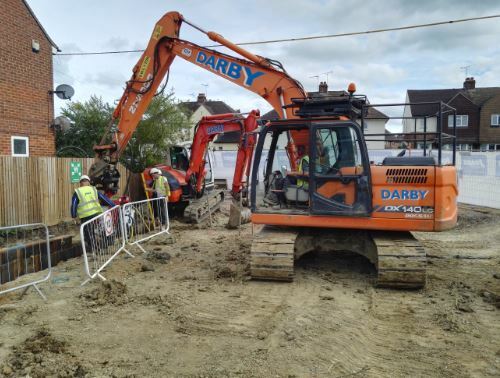 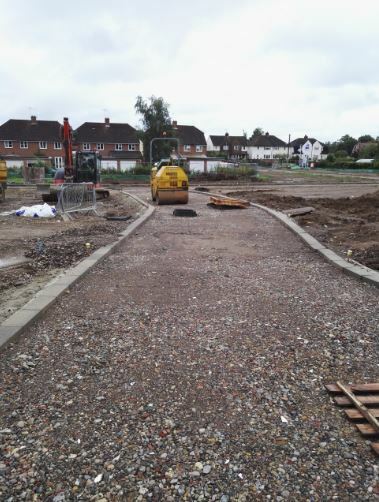 Our works consisted of firstly, constructing the road and installing all manholes and drain runs within it. 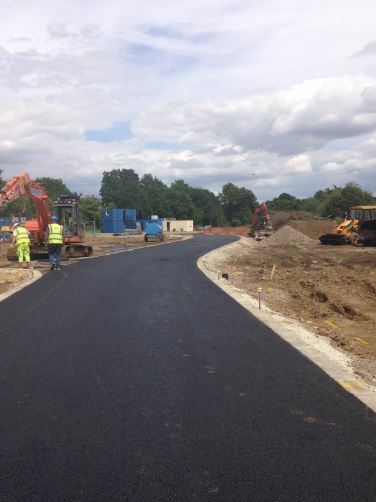 Then we brought the make up to underside of tarmac level. 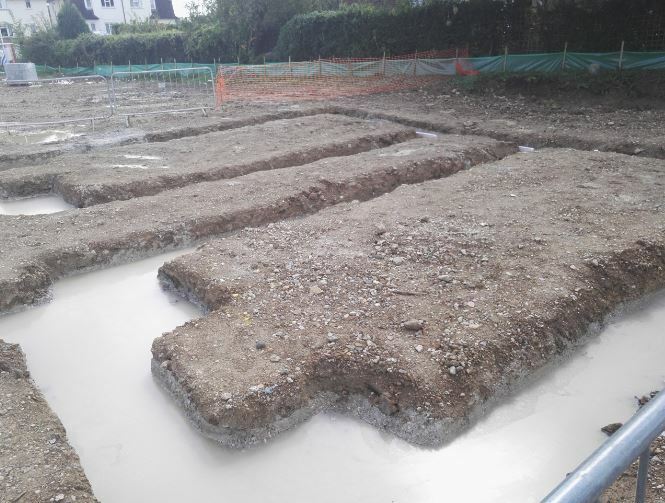 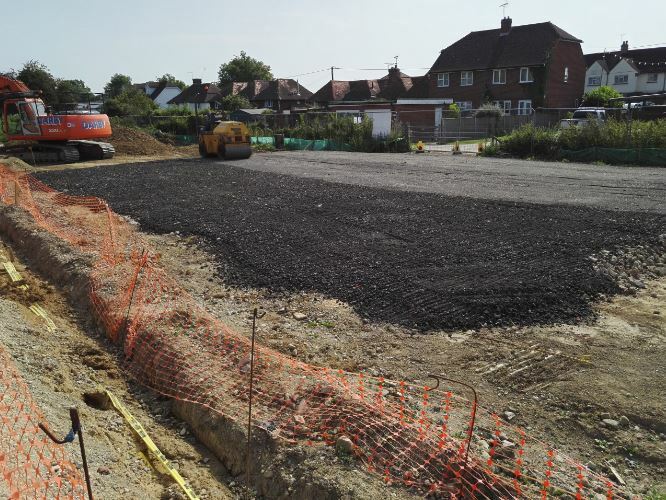 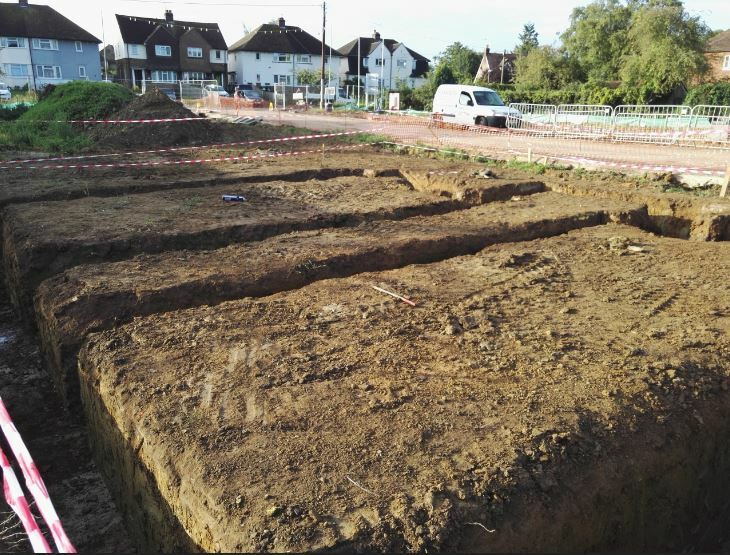 Once the road was completed we could then move on to each individual plot and start excavating and mass filling the foundations with concrete. 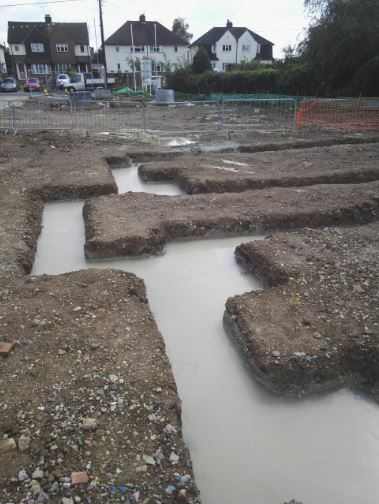 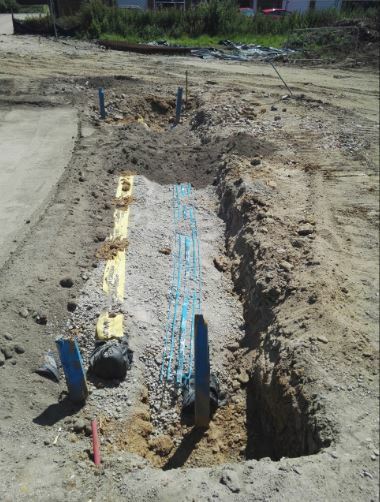 We then installed new foul and storm water drainage to accommodate the new properties. 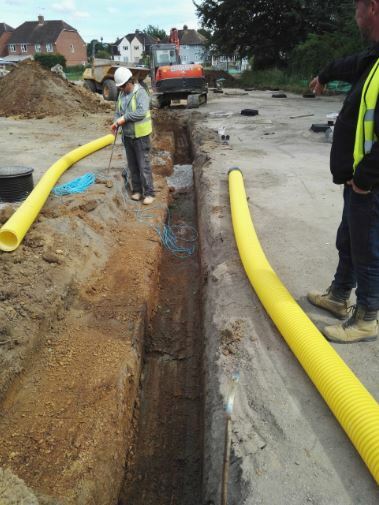 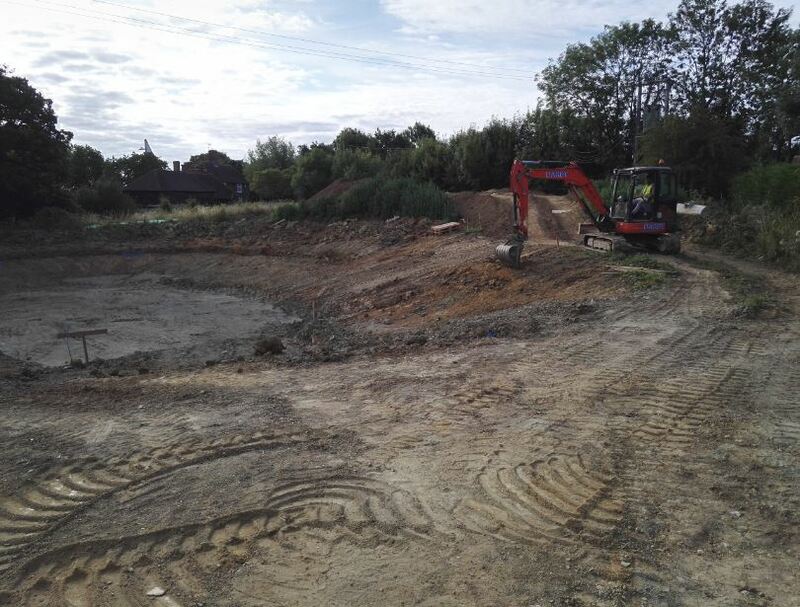 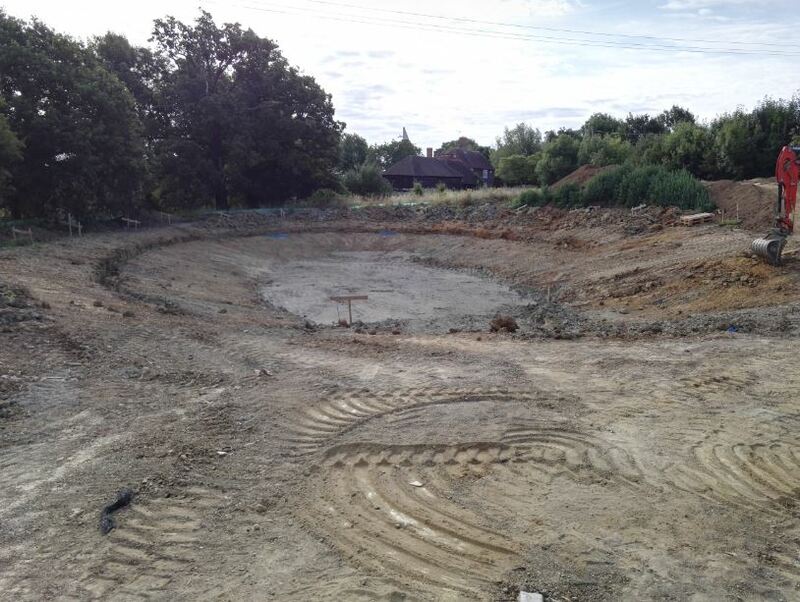 We installed an attenuation pond to control any build up of water in the hydrabrake. 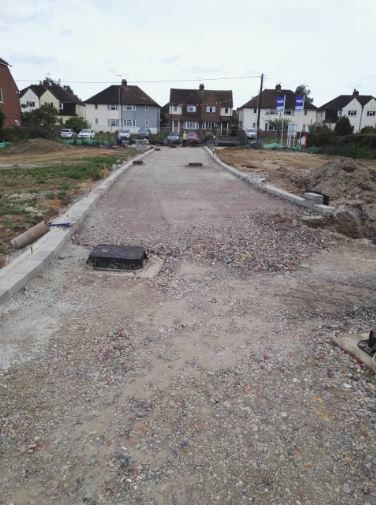 Lastly we instated all external works including kerbs for the road and footpath edgings.